As a 20-year old outfielder with Detroit in 1955, Al Kaline won the batting title, hitting .340 to become the youngest champion ever. Although he never duplicated that figure, he played in 18 All-Star games, won 11 Gold Gloves, and accumulated 3,007 hits. He also had 498 doubles, 399 home runs, 1,583 RBI, 1,622 runs scored, and 1,277 bases on balls. 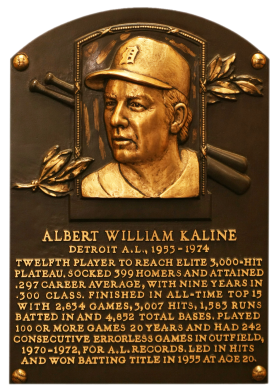 In his only World Series, in 1968, Kaline hit .379 and had two homers. Comments: Of course, I had to start this spot off with the 1954 Topps RC - a PSA 6 which I sold for a nice profit in April, 2000. I remember having a 1961 Topps card. I bought another PSA 5 RC in January 2003 and upgraded to a PSA 6 in February, 2005 after an eBay win. 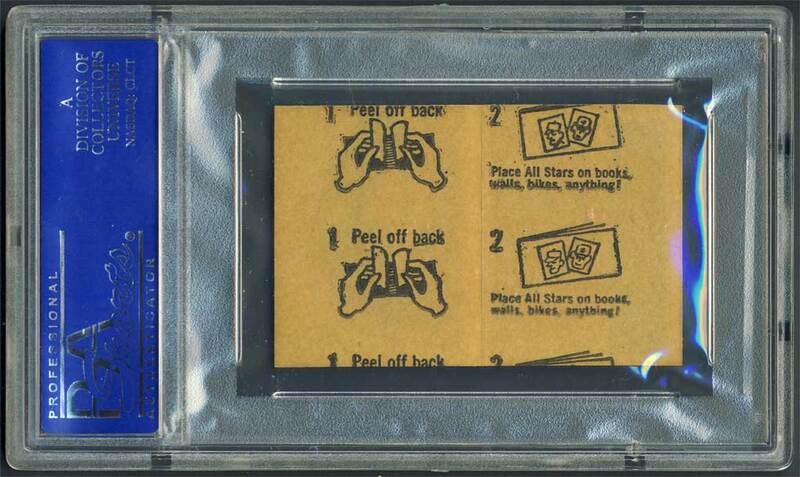 As I started pursuing more type cards in 2006/2007 I found the 1963 Peel-Offs and thought they were pretty cool. 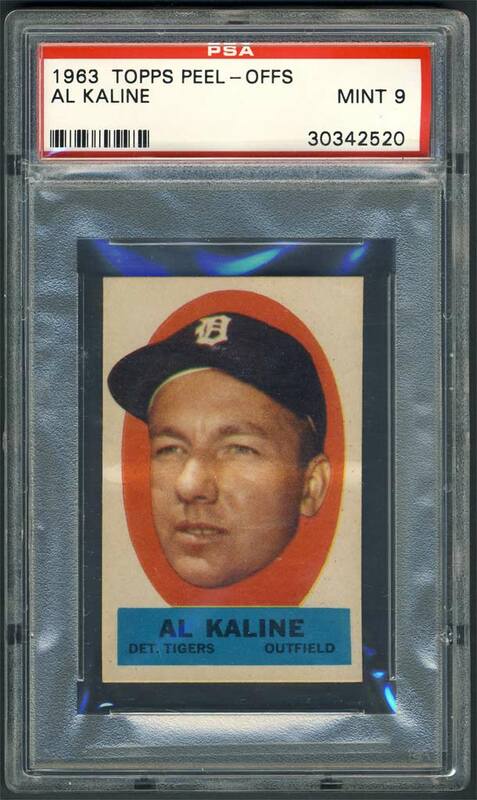 So, I picked up a raw example of Kaline in August, 2008 and sold the RC soon thereafter. In December, 2008 I upgraded the Peel Off to a PSA 7 with an eBay win. The following year, in December, a PSA 9 popped up on eBay and I put in a huge snipe bid - I wanted it - I WON! It was so much nice than the NM copy - as if it just came out of a pack. 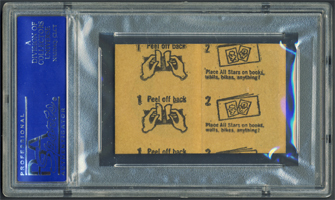 Description: Measuring 1-1/4"X 2-3/4", Topps Peel-Offs were an insert with 1963 Topps baseball cards. There are 46 players in the unnumbered set, each pictured in a color photo inside an oval with the player's name, team and position in a band below. The back of the Peel-Off is removable, leaving a sticky surface thate made the Peel-Off a popular decorative item among youngsters of the day. Naturally, that makes them quite scarce today. The stickers can be found both blank-backed and with instructions printed on the peel-off backing.